I started by asking Andy ‘why shouldÂ someone build their own aircraft?’. 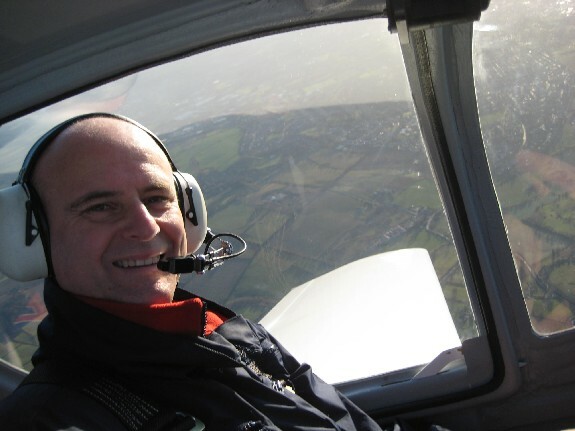 Andy says that there are probably as many reasons as there are people, ranging from the immense feeling of satisfaction that building your own aircraft brings through to the simple fact that it’s probably one of the cheapest ways of owning your own aircraft. Although Andy has an engineering background he doesn’t think it necessary to have anything more than good DIY skills in order to build your own plane. It will be a great learning curve but that’s part of the enjoyment, according to Andy. And you don’t need a specialist workshop for your project. Many builders complete their aircraft in a single car garage or even inside their own house. Andy, himself, built his Rutan Long EZ in a lean-to and his friend’s kid’s bedroom! Once you’ve decided to build your own aircraft, there are several options open to you. You can build from scratch, build from plans or build from a kit. The challenge can be as great as you want, really. If you wanted to design your own aircraft, though, the LAA are working on some design tools to help you along the way. With regards to cost, Andy says that a realistic amount for your new-build would be around Â£20,000 but, if you’re prepared to scout around for second hand parts you can build it for considerably less. The only limits to your imagination are the rules that control what aircraft you can build. The LAA act on behalf of the CAA here in the UK, to control what you can and can’t build. The Light Aircraft Association did, of course, used to be the PFA. They will test and monitor all home-builts even before you are allowed to start building and they have a list of approved aircraft on their web site. The main rule governing self-build, however, is that it must be at least 51% completed by the builder or builders, if it’s a group of you. So, even the so called ‘fast-build’ kits must still adhere to this rule. The LAA also monitor people that build many aircraft and sell them on regularly. The whole ethos of the Light Aircraft Association is that the aircraft should be built for the builders use and not be sold on. Perhaps one of the Light Aircraft Association’s main functions is to test and approve aircraft designs and kits to make sure that they meet their stringent requirements. In fact many other governing bodies around the world will only approve aircraft after the LAA have approved it for use in the UK. Once you have picked the aircraft that you want to build you’ll need to join the LAA and register your project with them before you lift a spanner. They will issue you with a build record book, assuming that the aircraft is already registered, for you to record your build project’s progress. An inspector will come and inspect your build premises to make sure they are up to scratch. 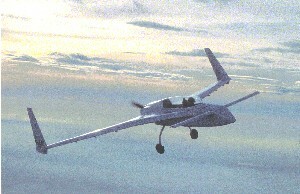 Composite aircraft, for example, will require very particular conditions such as temperature and humidity control. Once you’re under way, one of the volunteer inspectors will come and visit, at certain points along the build process, in order to make sure your build is going to plan. For more support there are forums and even local LAA meetings, called Struts, where you can go and discuss your project with like minded folk. The LAA’s engineers are also available to support your build project. Now that the aircraft is completed, and the build has been signed off by the inspector and the LAA’s Chief Engineer, you move along to the flight testing element of the undertaking. There follows a minimum of 5 hours in the air with the flying being undertaken by either the owner or another experienced pilot. If all goes well the CAA will eventually issue a Permit to Fly and, assuming you’re qualified to fly your new baby, you are free to take to the skies. Maintenance is all down to the owner/builder and the aircraft must be inspected every year in order to renew your permit. If the LAA does become aware of any issues with your particular aircraft they will issue Airworthy Information Leaflets and circulate them to all known owners of that type of aircraft. 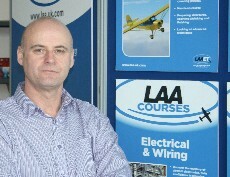 One of the great things about the LAA is that they are keen to help aviators and not just builders. So in addition to courses on different elements of aircraft construction they also have coaching schemes for pilots of differing aircraft types. You can also brush up on your grass-strip flying or undertake some differences training with the LAA coaches. If you don’t feel up to building your own aircraft you can buy a second hand home-built or a vintage aircraft that has a permit to fly. If you do decide to go down this route the LAA can provide an inspector to give the aircraft the once-over before you part with your hard earned cash. If you like more info about the services that the Light Aircraft Association offer, have a look at their comprehensive web site. This entry was posted in All Podcast Episodes, Equipment, Flight Training, Flying Professionals, GA Flying, Manufacturing, Microlights and tagged Aviation, Flight Training, General Aviation, LAA, Light Aviation, Podcast by admin. Bookmark the permalink.